NGC 6914 is a reflection nebula embedded within the diffuse emission nebulosity of the Cygnus region. The region represents an immense collection of young stars, most of which are hidden by surrounding dust. The blue reflection nebula on the right is known as NGC 6914A (vdB 131), and the one on the left is NGC 6914B (vdB 32). 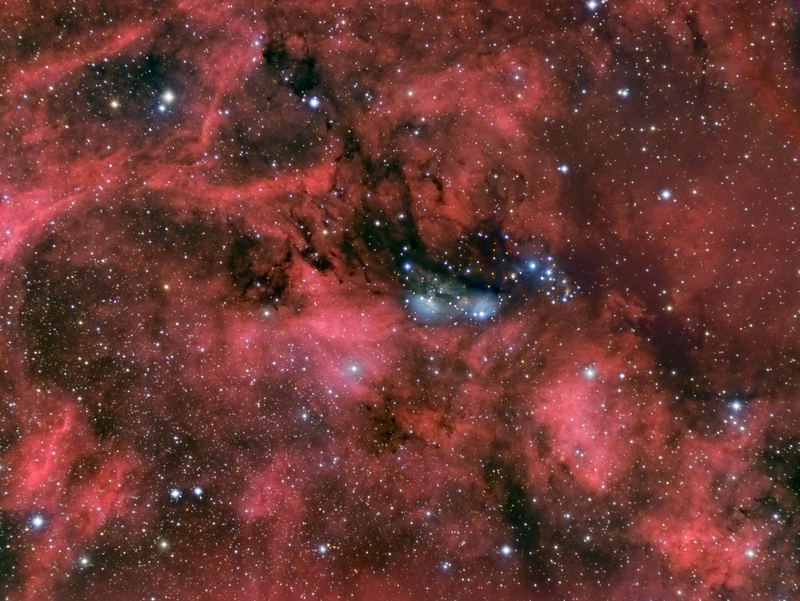 The image also contains many cataloged bright and dark nebulae, and a few relatively rare yellow reflection nebulae.